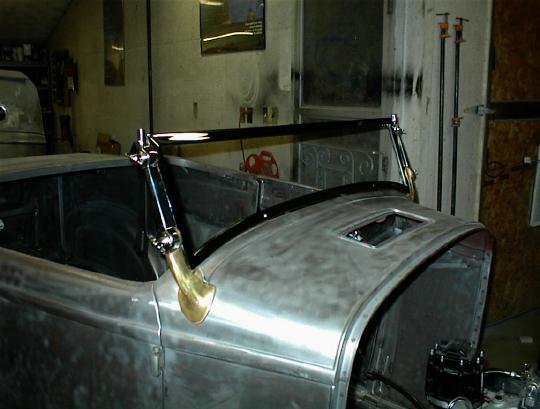 John wanted a 3 inch chopped windshield on his roadster. The frame is purchased already chopped, but the stainless steel 2 inch chopped post needed another 1 inch taken out. This has just been completed. We also slightly leaned the post back. Should make for an aggressive look.